Social dancing every Saturday evening (opening event 20 August 2011) at Furrow Lane Hotel, 154 Furrow Lane, Equestria, Pretoria. 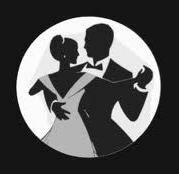 Learn to do Latin Line dancing from 19:00, and stay for social dancing from 20:00 till midnight. Dress Code: semi formal or elegantly casual (no jeans and takkies). Entrance R40.00 per person. Cash bar and A la Carte menu available. Safe parking inside hotel's premises.